The Tripura government has once again reiterated that it stands by its decision to dismiss 10,323 teachers, but will abide by the March 29 Supreme Court order to retain them till December 31, 2017. Addressing media here at Civil Secretariat on Wednesday after a cabinet meeting, Tripura Chief Minister Manik Sarkar said, "The council of ministers, in its meeting held on April 5, examined the order of the Supreme Court on March 29 last, dismissing the state's special leave petition (SLP), in which the apex court had issued some directions." "The council of ministers observed that the judgment was unexpected," said Sarkar, adding that as per directions of the apex court, the new employment policy should be framed by the state by April 30, 2017, if not already framed, and advertisements for filling up the vacancies may be issued latest by May 31, 2017. He said, "Finally, we have decided in connection to the judgment of 10,323 teachers who have been teaching for the last many years with full dedication and have kept running our educational infrastructure other than helping our children in many ways. In order to secure their future, our government shall be beside them, taking all of their responsibilities and to help them. This will be our commitment to all of them and we are asking them to be present in the schools so that there is no problem." Sarkar said that he would abide by the apex court order to complete the fresh selection process on or before December 31, 2017, and till the fresh process is completed, the teachers already appointed, shall continue. He also informed that candidates who had participated in the selection process pursuant to the advertisements in question, whether selected or not, would be allowed to participate in the fresh selection process subject to them having necessary qualifications. Thirdly the qualifications in the case of teachers governed by the provisions of the Right of Children to Free and Compulsory Education Act, 2009 shall be in conformity with the relevant statutory provisions of the said Act. And finally, the qualifications of teachers employed for Classes IX and above shall be strictly in compliance with the relevant provisions concerning such appointments. Chief Minister Sarkar said that his government is concerned about the future of all teachers affected by the court's order and reaffirmed that all possible steps shall be taken to protect their interests. State Education Minister Tapan Chakraborty and Finance, ICA Minister Bhanulal Saha were also present at the media interaction. According to the online media portal, The Wire, on May 7, 2014, the Tripura High Court, in response to 58 petitions, terminated the services of these teachers recruited by the state government in 2010 and 2013 as they were appointed by a policy not compliant with the obligatory qualifications mandated by the Right to Education Act, 2009. 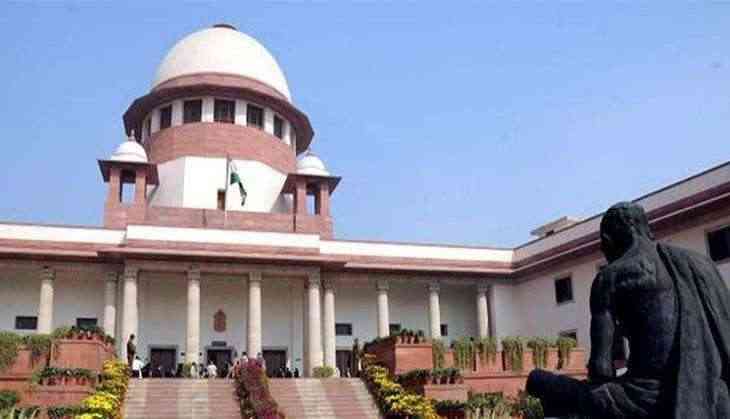 The high court pointed out that the state government did not follow the National Council for Teachers Education (NCTE) guidelines in 2001 while recruiting them. However, it said that with the Right to Education Act coming into play in 2009, the state government should have recruited teachers as per the norms of the Act, and therefore, there was a need for it to start a fresh process of recruitment as mandated by the Act. Of the 10, 323 teachers whose jobs are at risk, 1,100 are post graduates, 4,617 are graduates and 4,606 are undergraduates. Though the Manik Sarkar government revised the existing recruitment policy in January 2014 - before the high court order was delivered - it filed a special leave petition (SLP) in the Supreme Court in response to the high court order to protect the jobs of those teachers already appointed under the old policy. It also reportedly wrote to the Ministry of Human Resource Development (MHRC) seeking relaxation of rules for them. Two other SLPs were also filed in the apex court in response to the high court order - one by those teachers set to lose their jobs, and the other by some who would be benefitted by the order. On December 8, 2014, a division bench of the Supreme Court, comprising Justice J.S. Khehar and Justice Arun Mishra, stayed the Tripura High Court order, thus allowing the teachers to continue in their jobs till further orders. However, giving its final judgment on March 29, the apex court upheld the high court order but allowed the affected teachers to continue at their posts till December 31. It asked the state government to initiate a fresh recruitment policy through the Teachers Eligibility Test as prescribed under the Right to Education Act by May 31 and complete it by December 31. READ NEXT >> Akshay Kumar’s Crack postponed indefinitely?